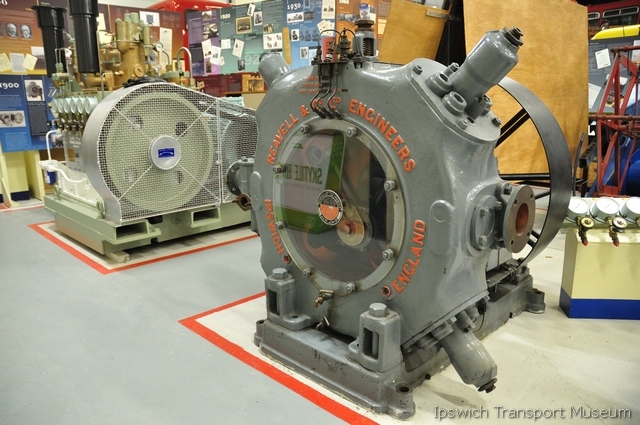 Ipswich Transport Museum is a collection of over 100 major transport and engineering objects which were made or used in the Ipswich area. They show how people used to go about their daily lives and remind us of the many things that were actually designed and built on our doorstep. 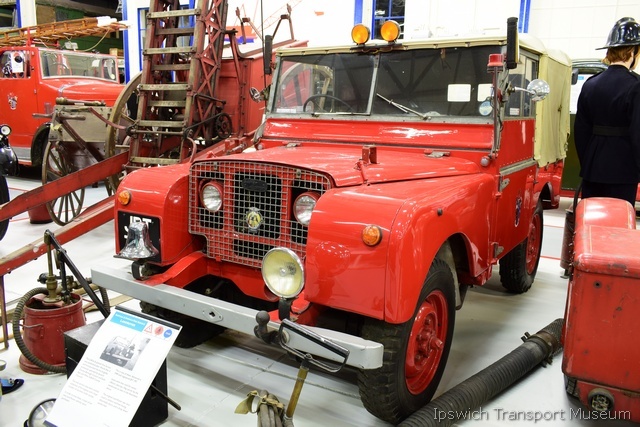 Our Transport Collections are lovingly cared for by dedicated volunteers. The collection started 50 years ago with just one bus and has grown into one of the most comprehensive collections of its kind. You can see buses and bicycles, prams and a police car, lawnmowers and lorries, fire engines and a funeral hearse. 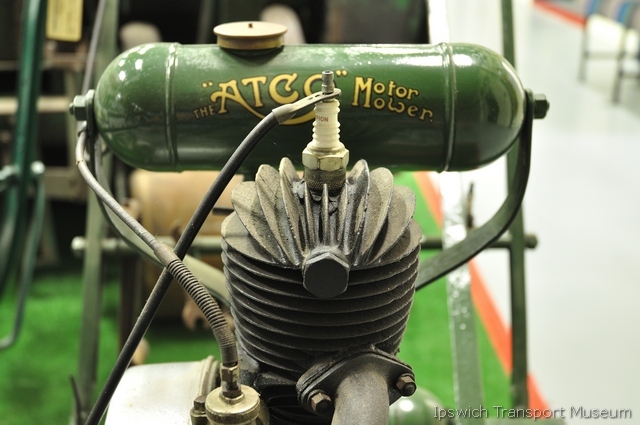 The amazing selection of local vehicles is supported by a variety of small exhibits, display material and ephemera. 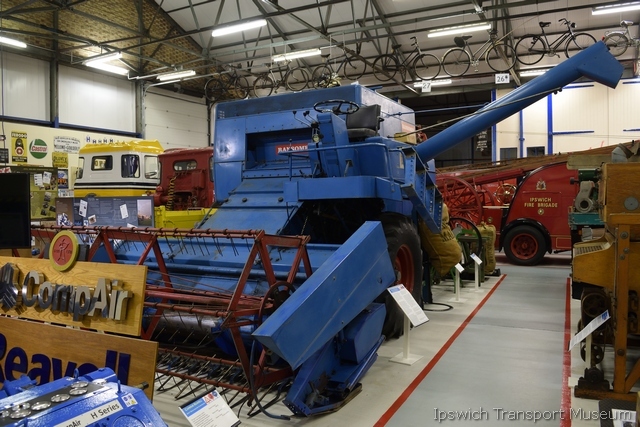 The museum also houses the Ipswich Engineering Collection which includes many items from well known companies including Ransomes Sims and Jefferies, Ransomes and Rapier, Cranes, Reavell and Cocksedge. The displays include cranes, fork lift trucks, lawnmowers and intricate models. 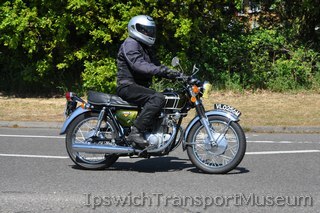 The premier road run in East Anglia! 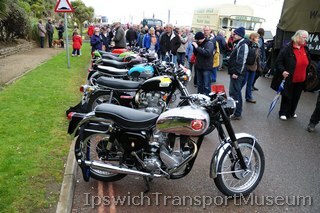 Over 500 vehicles gather in Christchurch Park and depart at 11.00 for display on Felixstowe Promenade in the afternoon. A magnificent spectacle - free to visit and watch at either end or en-route! 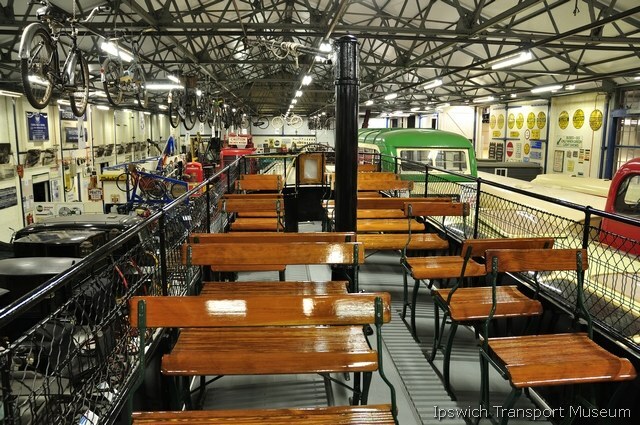 Transport Museum is open as normal, 11am-4pm. Event organiser Mark Smith said 'Our special services have been devised to provide you with an opportunity to sample the sights, sounds and smells from the past. 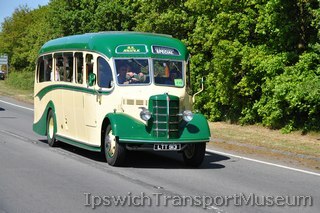 This year we have a good turn out of Ipswich Single Deck buses, so we’re taking the opportunity to run some trips to Chantry Estate. Bus services commenced to the then new estate in 1953—some 55 years ago. 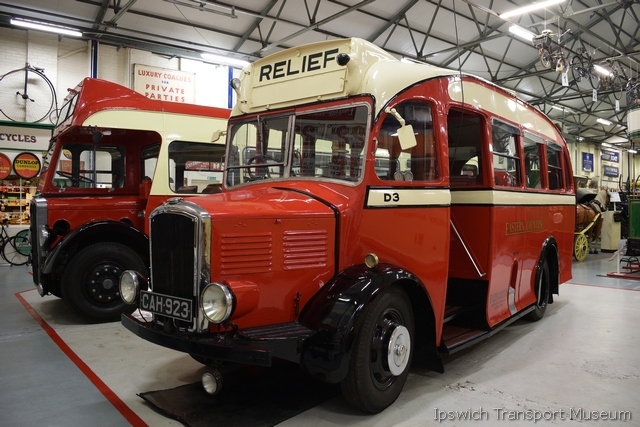 AEC Regal IV BPV 8, one of the original buses which ran the new service, has returned to the road after 35 years of barn storage—a remarkable find. All being well, No.8 will be in attendance, courtesy of owner Doug Flory, along with subsequent generations of ‘Chantry’ buses. 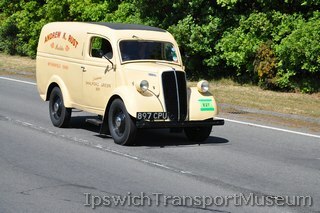 Our own AEC Swift bus, which is nearly 50 years old, will also be running. The low bridge in Ancaster Road ensures, as always, single deck operation'! 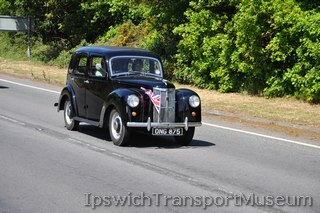 To raise funds for the museum we are inviting applications to participate in the 49th Ipswich to Felixstowe Historic Vehicle Road Run on Sunday May 5, 2019. The entry fee is £17. We will be capping the numbers attending again this year, so early application is recommended. The only condition is that vehicles must be built on or before April 30, 1989. They must be roadworthy, presentable and covered by insurance. Tracked and customised vehicles are excluded from entry. The run is over a distance of approximately 13 miles. 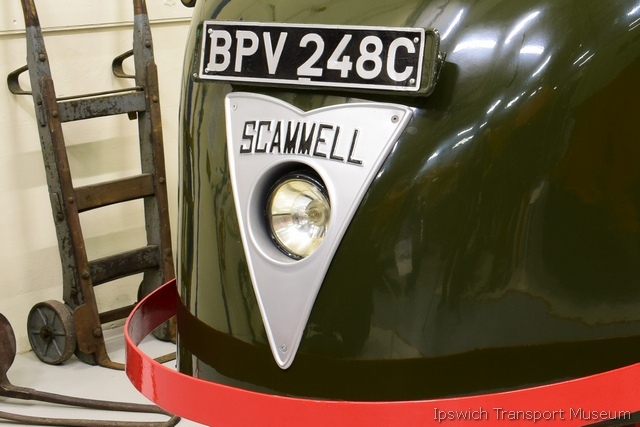 Vehicles assemble at Christchurch Park, Ipswich from 8.30 to 10.30am. The run starts at 11am arriving at Felixstowe Promenade from 12 noon. Plaques will be available at Felixstowe. To allow the administrative work in arranging this event to be completed all applications must be received by March 31, 2019. We will not be able to accommodate entries after that date. To enable us to keep your details on our database and to continue sending you an invitation to join our annual classic vehicle rally we need your permission in accordance with The General Data Protection Regulation (GDPR) which came into force on the 25th May 2018. Your information will be kept in a secure environment and will only be used for the purpose of contacting you in relation to the above event. You will indicate your permission by signing the entry form for this event or, if not participating this year, download the GDPR form and return it to us. 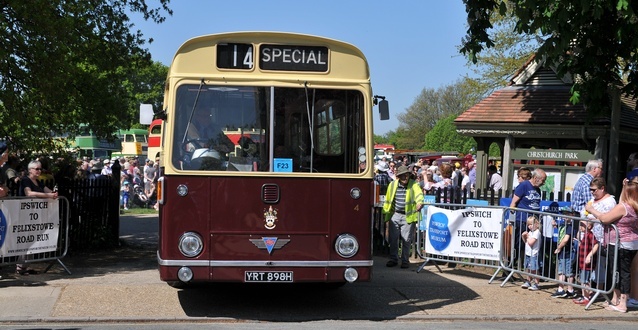 The run will leave Christchurch Park at 11 am headed by one of our Museum vehicles carrying the Mayors of Ipswich and Felixstowe and their consorts. The routes then diverge. Commercial vehicles, buses, motorcycles, leisure vehicles and some of the cars turn right into Garrison Lane and then to the sea front.The military vehicles will assemble in Walton and then convoy to the sea front along the same route. 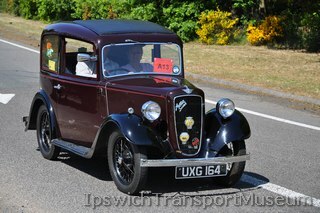 All other cars will go via High Road East and Maybush Lane to the sea front.